How to Convert DVD to MP4 with Windows Media Player on Windows 10/8/7 etc. How to Use Windows Media Player to Convert a DVD to MP4 on Windows 10/8(.1)/7/XP etc.? Windows Media Player (WMP), developed by Microsoft, is a media player included in Windows systems as well as available for Pocket PC and Windows Mobile. 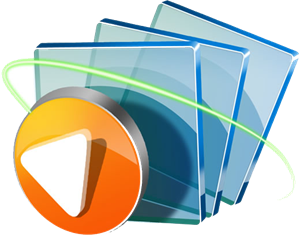 It focuses on playback of audio, video and pictures in various formats expanding from default Windows Media Video/Audio to richer formats in latest WMP 12, like MP4, MOV, M2TS, MP3, M4A and more. In addition, it started out supporting disc burning since Version 7 and CD ripping from 9 Series to handle Audio CDs. Can Windows Media Player Convert DVD to MP4? WMP offers users an awfully easy way to convert a CD to WMA, WMP3 and lossless audios (WMV, ALAC, FLAC). Even, it gives an option to rip music CD automatically. This feature misleads some uses to believe that Windows Media Player is able to convert DVD. In fact, it can't! 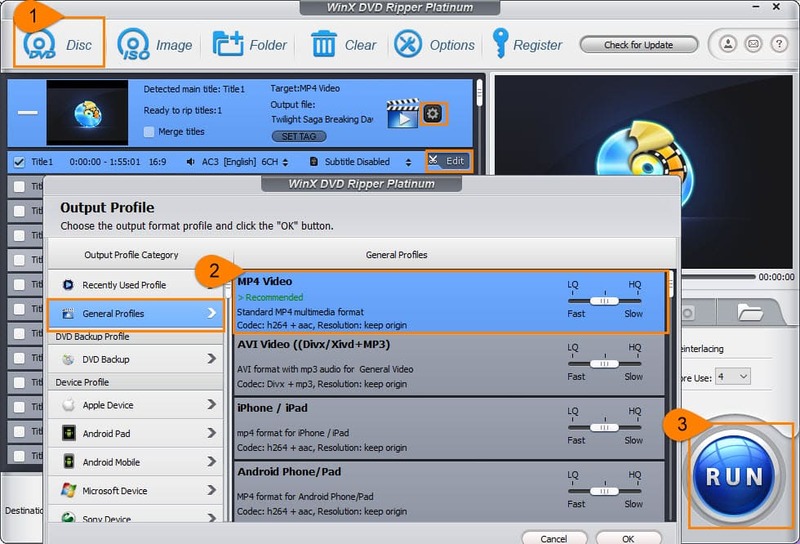 If you the one who tries to find a tutorial of how to convert DVD to MP4 with Windows Media Player on Windows 10 and lower versions, we suggest you to use a professional DVD ripper to convert DVD to MP4 with matched codecs that WMP accepts for later playback. Impossible to Convert DVD to MP4 with WMP? Get an Alternative Way! • Available to rip unprotected and protected DVDs (including newest movie DVD released by Disney/Paramount/Warner Bros. etc, 99-title DVD, workout DVD and other special DVDs encrypted with unique schemes) to MP4 (MPEG-4/H.264), AVI, WMV, MOV, FLV, 3GP, MP3, AAC, iPhone, iPad, Android/Windows devices, Xbox, PS3/4 etc, on Windows 10, 8.1, 8, 7, Vista, XP etc. 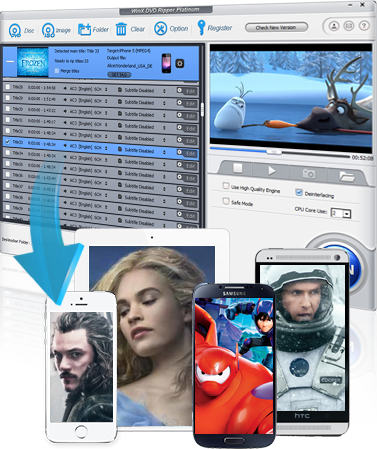 • Allow you to crop unwanted back bars around main image, trim a segment off whole DVD video, join several DVD titles into a single one, enable/disable subtitles and add external subtitles (.SRT) to DVD video when ripping DVD to MP4 or other formats. • Provide adjustable parameters helping you set values for bit rate, frame rate, resolution, aspect ratio for a better or particular effect when playback on different gadgets. • Achieve 1:1 DVD copy to ISO Image, VIDEO_TS folder or MPEG2 file for longer preservation of DVD contents. • Embed Super Encode Engine based on MMC-SSE & 3DNow!, Hyper-threading Tech and Support of Multi-core to get the fastest DVD ripping speed. • It also arrives with a Mac version running on Mac OS X Tiger to latest macOS Sierra. If you have downloaded and installed WinX DVD Ripper Platinum on PC, please follow this guide to convert DVD to MP4 on Windows (10). Insert DVD disc into DVD drive and then launch this DVD ripper. Click DVD Disc and a pop-up appear asking you to select the Source DVD disc. Choose the DVD disc and click OK to load DVD. A couple of seconds later, all titles will be listed and main title is auto checked for converting to MP4. You are also allowed to select desired title(s) for ripping. Meanwhile, Output Profile window comes. All categories are listed on the left sidebar, covering General Profiles, DVD Backup, Device Profile, Web Video Profile, PC/Mac General Video, to Music and TS Video. To convert DVD to MP4, choose MP4 video (h264+aac) from General Profiles or MP4 Video (MPEG4+AAC) from PC General Video as the output. If necessary, you can click Edit button to crop/cut DVD video, enable/disable subtitle tracks, add external subtitles, check multiple titles and Merge titles option to join DVD files, and hit the gear icon to modify parameter values. Browse to save resulting file to a destination folder and click RUN button to convert DVD to MP4 with this WinX DVD ripper. Tip: if you want to rip a newly-released DVD disc to MP4, it is suggested to tick Safe Mode option for ripping more successfully without interruption during the conversion process. And, the software developer only advocates ripping DVDs for personal use and suggests referring to the DVD copyright laws in your countries before doing so. Free download WinX DVD Ripper Platinum to convert DVD to MP4 on Windows and Mac! [Answered] Can I Convert DVD to MP4 Online for Free?